Mirage Hotels provides quality accommodation, services and facilities at Plot 230, State Housing Estate, MCC Road, Asari Eso Layout, Calabar. It has a gleaming exterior and interior décor with a discerning taste for contemporary styles; renowned also as the pioneer of the luxury boutique hotel class in Cross River State. 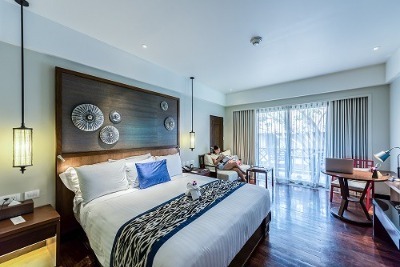 Each room offers high-speed internet service, cable TV, ornate lampshades, wardrobes, bedside tables, refrigerator, armchairs, work tables and chairs, en-suite bathroom and a comfortable bed. Checked-in guests are entitled to a complimentary breakfast. The Mirage Hotel Calabar houses two restaurants (The Pinnacle restaurant and The Royal Chinese restaurant) that provide guests with various delicacies. Pub 230 offers an array of exotic wines, cocktails and beverages for guests. Other facilities include The Alpha Gym, Angel’s Flavor Ice Cream Parlor, Cyber café and Resident Library, Business Centre, Pinnacle Pub & Night Club, The Regency and Ashbury Conference hall. Airport pick-ups, Car hire and Laundry services are available for an additional fee. Children: Maximum age of 6 years can stay for free. Q: Does The Mirage Hotel Calabar offer free Wi-Fi? A: Yes. It offers free Wi-Fi to guests. Q: Does The Mirage Hotel Calabar have a swimming pool? Q: Does The Mirage Hotel Calabar offer complimentary breakfast? A: Yes, it offers complimentary breakfast. Q: Is there a fitness centre/gym at The Mirage Hotel Calabar? Q: Does The Mirage Hotel Calabar have a restaurant? A: It has two restaurants with varieties of dishes to choose from. Q: Does The Mirage Hotel Calabar have on-site parking? Is it free? Q: Does The Mirage Hotel Calabar offer airport pickup or shuttle services? A: Yes. It offers airport pickup services. Q: Does The Mirage Hotel Calabar accept cash, cheques, cards and bank transfers? A: It accepts only cash payments. Q: What is the check in and check out time at The Mirage Hotel Calabar? The Mirage Calabar is a budget hotel in Calabar, Cross River. Your services were really good. your staffs were helpful, I'll surely be using you again. The hotel itself was okay, comfortable and beautiful but the hospitality was very poor. The lady that attended to us was very rude and I was not happy with the way she treated us. Have nice pictures of The Mirage Calabar ?